Education measurement and teaching evaluation is an important part of teaching activities. One of the main parts in teaching evaluation is the analysis of examination results and its influencing factors. At present, the main methods include descriptive analysis, cluster analysis, principal component analysis, factor analysis and multiple linear regression analysis. However, the data with hierarchical structure is not suitable to be analyzed by the above methods. Based on the sample data, a multi-level model is established. The results showed that school, gender and family were significantly affected by education. 王艳梅. 多水平模型在大学英语考试成绩影响因素分析中的应用[D]: [硕士学位论文]. 济南: 山东大学, 2007. 陈光慧, 刘建平. 我国基本单位多水平连续性抽样调查体系改革研究[J]. 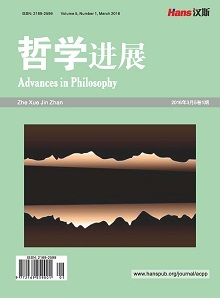 统计研究, 2014, 31(7): 50-57. 麻吉亮, 陈永福, 钱小平. 气候因素、中间投入与玉米单产增长——基于河北农户层面多水平模型的实证分析[J]. 中国农村经济, 2012(11): 11-20. 石磊, 向其凤. 鲁筠. 多水平模型及其在经济分析中的应用[J]. 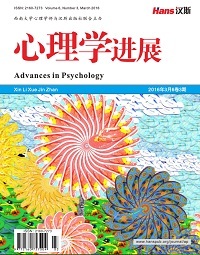 数学建模及其应用, 2016, 5(1): 3-8. 谢传波, 牛中正, 丁鹏, 等. 多水平统计模型的Stata程序实现[J]. 中国卫生统计, 2014, 31(1): 169-170. 赵金辉, 魏建荣, 陈华洁, 等. 北京地区居民日均饮水量相关因素的多水平模型分析[J]. 卫生研究, 2012, 41(5): 809-813. 梁宗保, 张光珍, 邓慧华, 等. 学前儿童努力控制发展轨迹与父母养育的关系[J]. 心理学报, 2013, 45(5): 556-567. 康春花, 孙小坚, 顾士伟, 等. 多水平多维IRT模型在学业质量监测中的应用[J]. 江西师范大学学报(自然科学版), 2016, 40(2): 133-139.